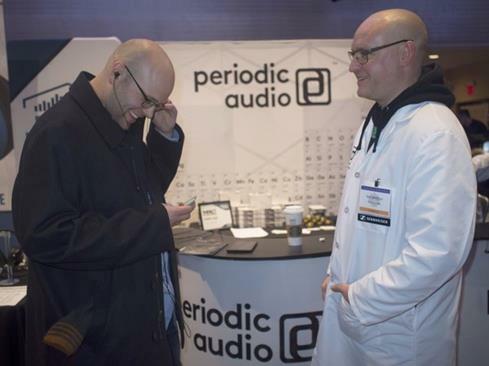 It was hard to miss the Periodic Audio booth at CanJam NYC this year — their whole crew was decked out in lab coats. It was a fun, tongue-in-cheek tribute to the company's name, but also underscored their measured, scientific approach to personal audio. 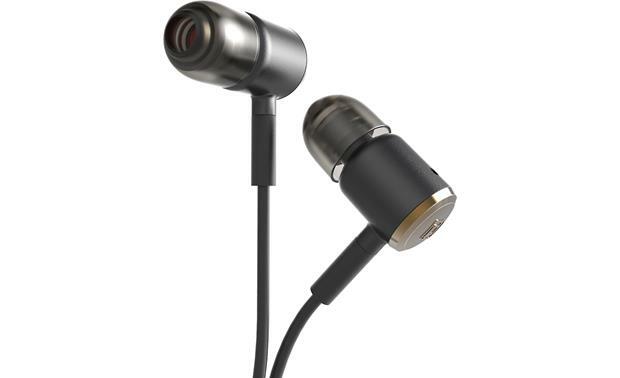 Case in point: the dynamic drivers inside their Ti IEM in-ear headphones. That's me, on the left, trying out some Periodic Audio in-ears — while sound expert (and my doppelgänger) Ben Webster dropped knowledge. For this model, the company uses a titanium diaphragm that delivers an energetic sound with deep bass. Periodic Audio was founded in California by a group of longtime audio experts, who are well-versed in high-grade metals and their different acoustic characteristics. So they created a trifecta of solidly constructed, studio-quality in-ear headphones, all identical except for one key piece: they switched out the diaphragm material in each model to create three distinct-sounding headphones. Which Periodic Audio in-ear headphones are right for you? 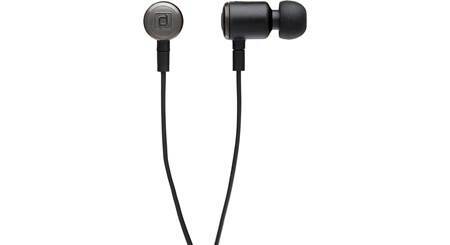 Mg IEM (magnesium diaphragms) — I was told ahead of time that this model was the utility player of the three, and worked best as an everyday, on-the-go set of headphones. Totally made sense. I connected them directly to my phone and enjoyed a pleasant, neutral sound. Their clear mids and highs stood out, even with the noise from the crowded show. Ti IEM (titanium diaphragms) — If you listen to a lot of EDM or hip-hop, take a look here. These headphones had a lot of swagger and energy, particularly on the low end. Titanium tends to produce powerful, punchy bass. I'll admit — these were my least favorite of the three with the acoustic tracks that I sampled. But I bet they would thump nicely with some old-school Gang Starr, or even some classic soul — anything where it's just as important to feel the beat as it is to hear it. Be IEM (beryllium diaphragms) — This flagship model sounded the most articulate, and I wish I had been in a quieter area where I could really soak in and appreciate the subtleties. To get the best out of these, I had to switch over to a high-res portable player. Beryllium is much lighter and stiffer than the other two metals, so it can move more smoothly and efficiently. Smooth is a good description of the sound, too — the vocals were some of the silkiest I've heard in a pair of in-ears. When I spoke to Ben Webster, one of the company's founders, I was surprised at the level of care in just selecting the build materials. Ben told me how much they labored over every choice — "is this the lightest? The sturdiest? The best?" Every single tiny piece was considered significant, and went through a large amount of scrutiny. This exploded view shows the magnesium diaphragm and other carefully selected driver materials. And I could feel that care as I held the textured earbud housings between my fingers. They chose polycarbonate resin over a host of other materials, due to its rigidity. The powerful magnets and top-notch driver elements inside move quickly with minimal resonance. Here's something I've learned from listening to many, many in-ear headphones: their sound is only as good as their fit. 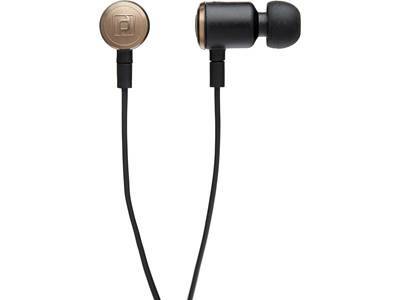 Periodic Audio includes 9 pairs of ear tips to ensure a secure, comfortable seal. There are six medical-grade silicon tips that help properly direct the drivers. (A few of the company's engineers have experience creating hearing instruments.) And I personally preferred the included foam ear tips. They expanded and conformed to my ears, blocking out the noise, so I could better enjoy my tunes. Earcup Width x Height 0.475" x 0.475"
Overview: Periodic Audio in-ear monitors are constructed of 21 precision manufactured parts per side. All of the components are designed, engineered, and assembled in the USA. All three models (Magnesium, Titanium, and Beryllium) use 10mm metal diaphragms, with each type of metal delivering a different sound signature. The bodies are made of resonant-free polycarbonate bodies for durability. 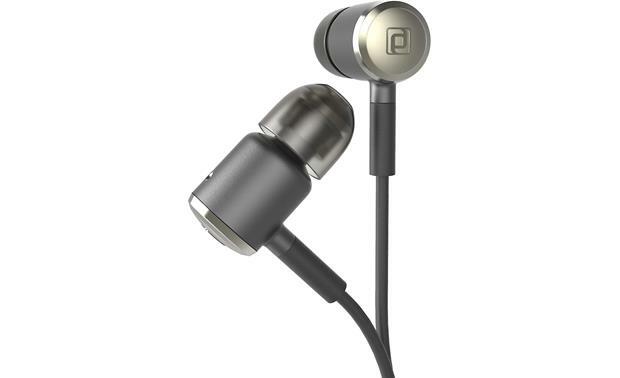 The IEMs come with nine pairs of ear tips, an airline adapter, a 3.5mm-to-1/4" adapter, and a metal storage case. 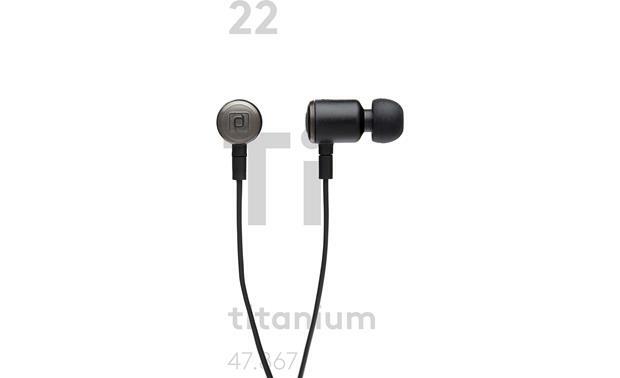 Titanium (Ti): The Periodic Audio Ti in-ear monitors feature a Grade 7 Titanium foil diaphragm made of 99.8% titanium and 0.2% palladium. The Ti diaphragms have a more aggressive sonic signature (than the Mg model) with a boost in the bass and treble response. It is a favorite choice for listeners of bass-heavy music, such as electronic dance music. 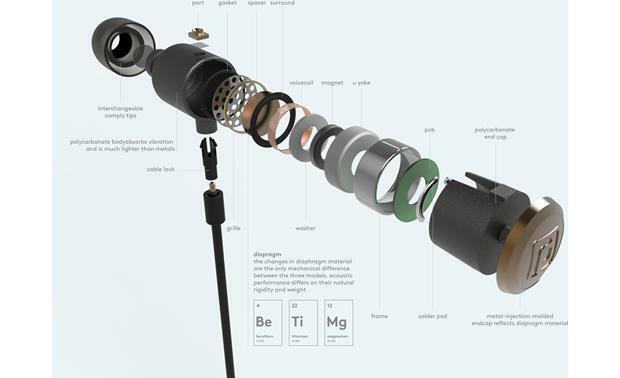 Cable: The Titanium IEMs feature a 50" (1.5m) long flexible cable made of 99.999% pure copper. 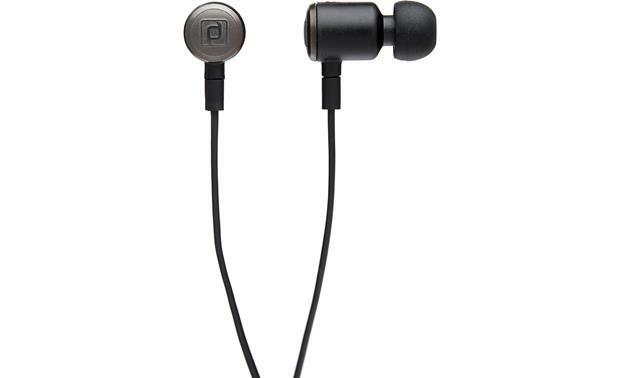 The thin cable is tangle-resistant, and has molded rubber strain reliefs at the ear tips and connector. 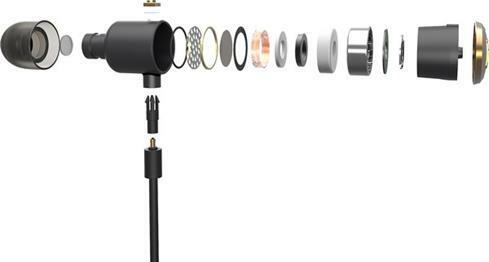 The straight 3.5mm plug is constructed of nickel-plated brass. 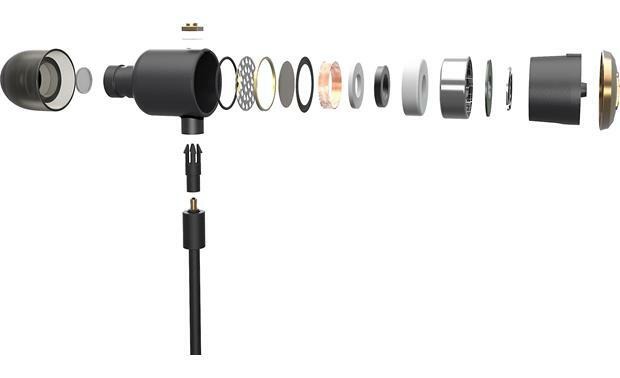 The package includes an airline adapter (female 3.5mm-to-dual male 3.5mm plugs) for in-flight entertainment, and a 3.5mm-to-1/4" adapter for use with professional audio or home components with a full-size 1/4" output. Silicone: The silicone ear tips are made with Dow Corning medical grade silicone rubber, which provides a 30-60% higher resistance to break down than normal silicone rubber. There are two shapes of silicone ear buds included. Single flange ear tips provide the widest range of fit and comfort. Dual flange ear tips provide a stronger acoustic seal in the ear canal, but may not be as comfortable. 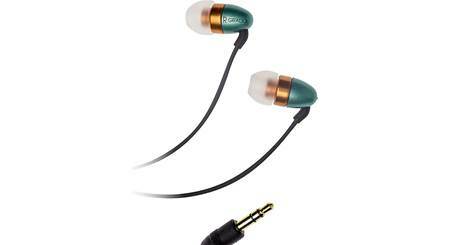 Memory Foam: The memory foam ear tips are more cylindrical than the silicone tips. These ear tips compress between the fingers for easy insertion into the ear canal. 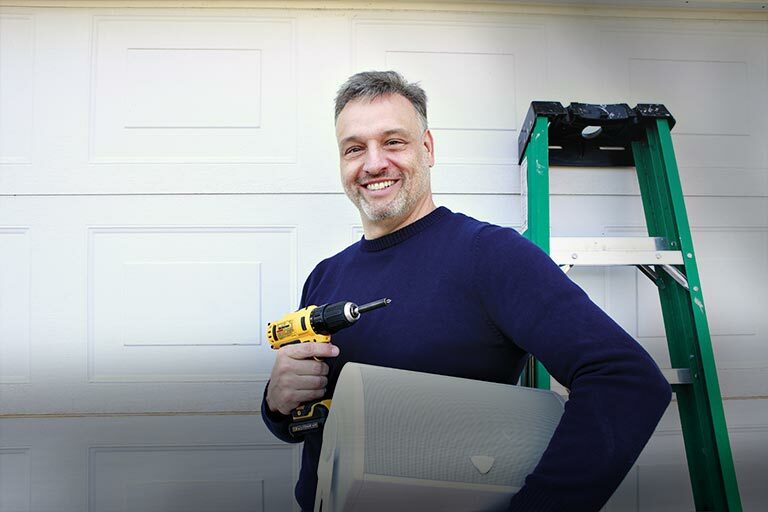 Once in place, the memory foam expands to its original shape and size, creating a good seal and a secure fit that won't fall out of the user's ear. Ear Bud Dimensions: Diameter 0.475" Depth 0.868"
Searches related to the Periodic Audio Ti IEM In-ear headphones with titanium diaphragms.